This is an article I wrote on the Microsoft-Nokia deal, and to some extent it reworks material in earlier posts. If you’ve read those you could skip this. If you’ve heard enough about the damn deal already, you could skip this. I wouldn’t blame you. I’ll put up something else less techy later. Over the last few years we have enjoyed astonishing innovation in the smartphone field, with competing systems from Apple, Nokia, Google, Microsoft, RIM, and more. A technology market has rarely been so open to all comers, certainly not since the home computer explosion of the early 80s. It’s been an extraordinary time. And now it’s over. The partnership between Nokia and Microsoft probably signals the end of the expansive phase and the beginning of shake-out. But this may not be a bad thing. In one view they are the dream team to create a credible third force in a vital market. That should improve competition, drive up the creativity and drive down prices. From another it’s a dinosaur wedding: When giants get into bed together, they push everyone else out. Are we to be offered fewer, better choices – or simply fewer? A “third ecosystem”, as Nokia CEO Stephen Elop calls it, means a third major platform for app developers, far more likely to succeed where Microsoft and Nokia individually were lagging. Almost certainly, it also means a second giant media delivery system alongside Apple’s iTunes, and far greater penetration for Microsoft services that mainly rival Google’s.¹ Between them, Nokia and Microsoft have just about every angle covered. Which, interestingly, would put them on a similar footing to Apple. Google suddenly looks like a weaker player here. With no real hardware of its own, and with little control over what people do with its open-source Android OS, they risk seeing their app market become fragmented into various flavours and their name dragged through some appalling hardware. Close integration with the desktop version of Windows should make it a compelling tool in the business segment too, putting severe pressure on RIM’s Blackberry. This then is the danger: The market shrinking to just three, perhaps only two, real players. 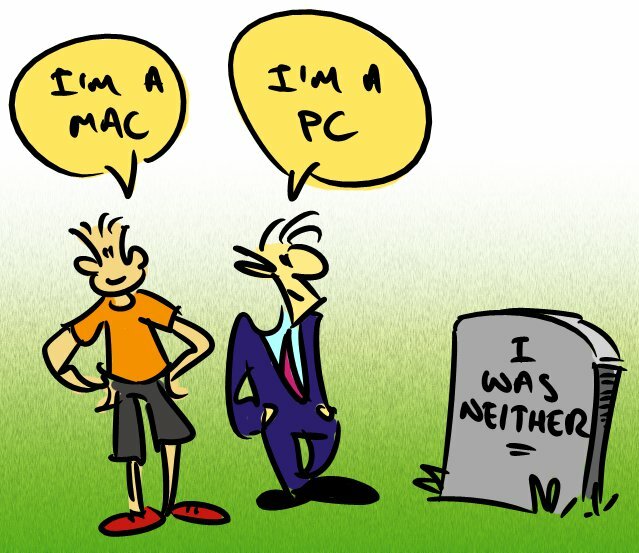 It would be particularly sad if those two turned out to be old stagers Apple and Microsoft. Though on the other hand it means one rival fewer for Google Maps, as both Microsoft and Nokia have products there. My friend Jakub, who’s very up on these things, strongly disagrees with your pessimistic POV. However, I cannot remember what his reasoning actually was. Well this is more a worst-case scenario than my view. I certainly hope this doesn’t happen. But then my worst-case scenario last week was Nokia dumping Symbian for Windows Phone, so I don’t recommend Jakub lays any bets.